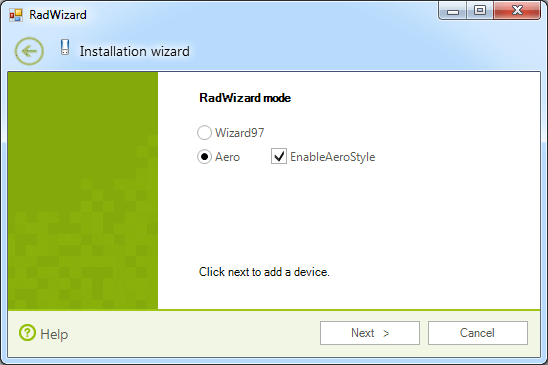 The aero style of WizardMode.Aero can be enabled (for Windows Vista and later versions) or disabled. You can achieve it using the EnableAeroStyle property of RadWizard. 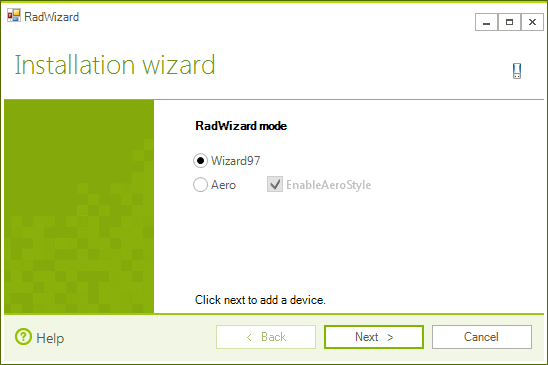 When RadWizard is in Aero mode with disabled Aero style, the appearance of the control is defined by the styles in its theme.